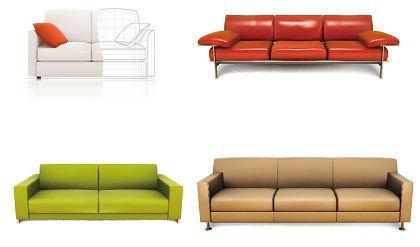 4 Vector Sofas | Free Vector Graphics | All Free Web Resources for Designer - Web Design Hot! This entry was posted on Wednesday, June 17th, 2009 at 7:42 pm and is filed under Free Vector Graphics . You can follow any responses to this entry through the RSS 2.0 feed. You can leave a response, or trackback from your own site. When it comes to accessories, look for items that have an antique or worn look. Leather make perfect accent and keep the natural theme flowing throughout the home. A distressed wooden trunk is a perfect addition to a living room or bedroom, and antique style mirrors create beautiful walls. Hi…Awesome work, great job. Thanks a ton for sharing.! keep rocking…….